Despite its bloody history as a bull-baiting dog, the Bulldog is a well-known and loved family companion. As a super kid-friendly gentle, and kind breed the Bulldog is certainly a favourite amongst dog lovers. The Bulldog is more known for his clowning always than training conquests. Bulldogs are intelligent dogs, but they do require a little patience when it comes to training. 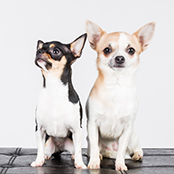 They are a stubborn breed, so consider fun and up-beat training methods that contain ample praise and love. Consistency is the key, as too, reading if your Bulldog is becoming bored and non-responsive. If you are open to it, crate training also works well on the Bulldog. Starting early is paramount, as with any breed. 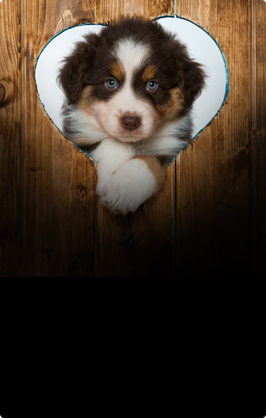 Some owners find training difficult with this breed because of their unbelievably cute and adorablenature. So be firm, but fair, and consistent with what rules you expect your loveable Bully to follow. They do love food and affection, which makes a great combination when training. As a short coat breed the Bully requires very little grooming but will benefit from a weekly rub with a rubber mitt. Shedding is very minimal. However, they do love to drool! Keeping an old towel handy will help keep the drool to a minimum. 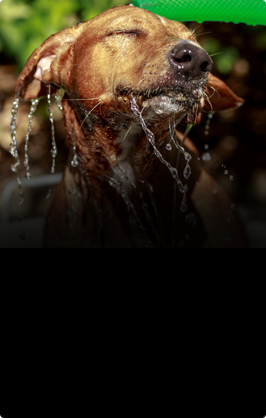 Your Bully will also benefit from a monthly or fortnightly bath depending on how much they are smelling. Bully’s don’t typically smell any more than other breeds however if you do notice a pungent smell it could be health related (ears or coat) and a vet check is in order. Bulldogs do not require huge amounts of muscle flex to keep them well-behaved and happy. Remembering they are a brachycephalic breed and care must be taken during hot weather, please research the importance of looking after this type of breed (see below). Two short walks per day at a nice even pace is perfect to keep your Bully happy and fit. The Bulldog loves to play and clown around and much of its exercise and entertainment is used up bowling around with family and friends. They do have a tendency to gain weight so the breed does require a daily walk to beat the bulge and keep trim. One thing is for sure, Bulldogs do have great memories and once they have been trained they will not forget it! It’s just having the patience to get them to do what they are asked. Known for their stubbornness, can have some questioning the breeds intelligence levels. However, anyone who has had the pleasure of owning a Bully can only agree that stubbornness and intelligence are two completely separate things. This breed is super family friendly and one of the most loving and loyal breeds around. 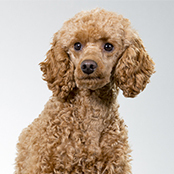 They are a chilled-out and cruisey breed that makes them perfect companions for children and busy households. However, like with all breeds, please teach your child the correct way to behave around a dog and always supervise interactions. The Bulldog should be a primarily indoor breed. 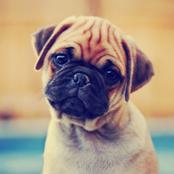 As it is a brachycephalic breed care must be taken during warmer weather. This breed will have problems cooling down due to the shape of their skull. They should not live outdoors as it can cause severer problems with their health and wellbeing. They really struggle in humid weather and heat. 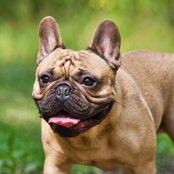 If you notice your Bulldog overheating it is important to seek veterinary care quickly.